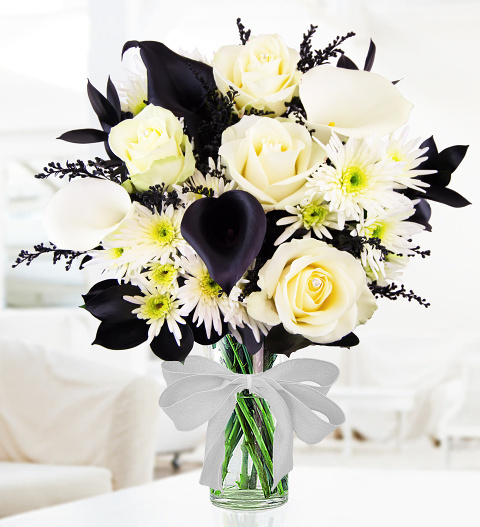 Included in this luxurious birthday bouquet, you will notice the amazing combination of Dellianne Chrysanthemums, black and white Calla Lilies, Solidago, and white Avalanche Roses with glittering diamond diamantes to make the bouquet extra special and memorable. To make this gift even more luxurious, we have added free chocolates too! Spoil a friend or loved one on their birthday this April with a truly memorable floral gift. Chocolates may contain nuts.